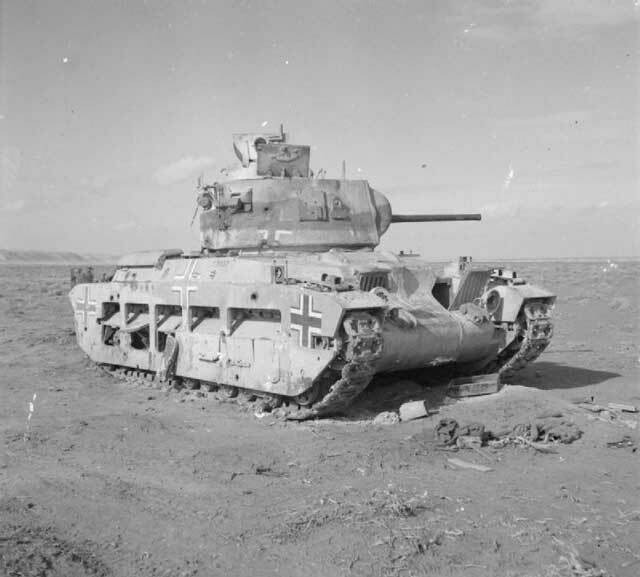 "A British Matilda tank in the Western Desert, recaptured from the Germans who had used it against the British in Bardia, 3 January 1942." © IWM (E 7482). Battle of the Pacific: On the Malay Peninsula, the Indian 11th Division moves behind the Slim River on 3 January 1942. The Allied troops on the east coast also withdraw under pressure. Reinforcements arrive in Singapore, but these are newly formed units (45th Indian Brigade and an Indian Pioneer battalion) of little value. Of greater value are 51 disassembled Hurricane Mk IIBs that arrive with them along with 24 pilots (many of whom were veterans of the Battle of Britain). The 151st Maintenance Unit begins assembling the planes at breakneck speed. They are badly needed in Singapore and over the Malay Peninsula, where the Japanese have established aerial supremacy. 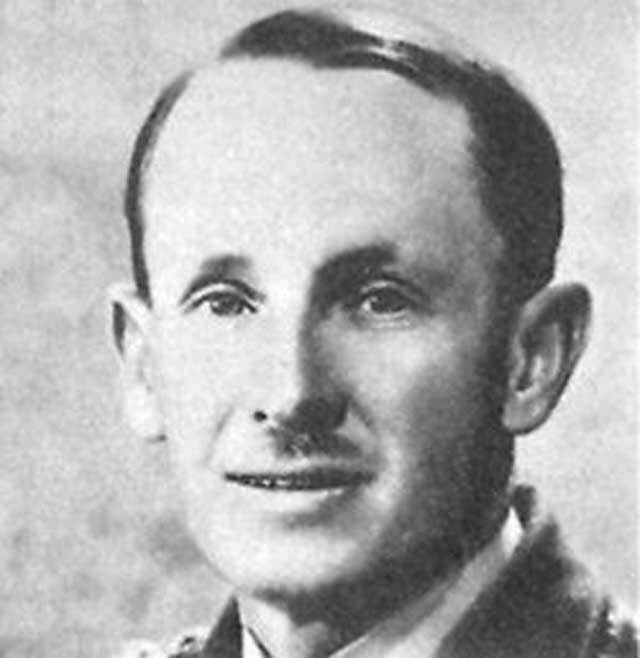 Arthur Edward Cûmming, a 45-year-old lieutenant colonel commanding the 2/12th Frontier Force Regiment in the Indian Army, counterattacks with a small party of men near Kuantan after the Japanese penetrate into their position. Despite receiving two bayonet wounds to the stomach and all of his other men also being wounded, Cûmming manages to stabilize the situation. He later drives an armored personnel carrier to rescue parties of his men who have been unable to withdraw and again is wounded, but rescues the men. For his valor, Cûmming is awarded the Victoria Cross. It is on display at the National Army Museum, Chelsea. Arthur Cûmming passes away in 1971. Stern view of USS Runner (SS-275) from the south catwalk, Portsmouth Naval Shipyard, Kittery, Maine, 3 January 1942. It is a Gato-class submarine. In British Borneo, the Japanese invade Labuan Island in Brunei Bay. The British have withdrawn in the mainland jungles, so there is no opposition. Later, the Japanese sail to the mainland at Mempakul and spread out from there. In the Philippines, the Japanese continue advancing in Luzon toward the Bataan Peninsula. The Filipino 21st Army Division makes a stand near Pio, but the Japanese advance near Guagua. 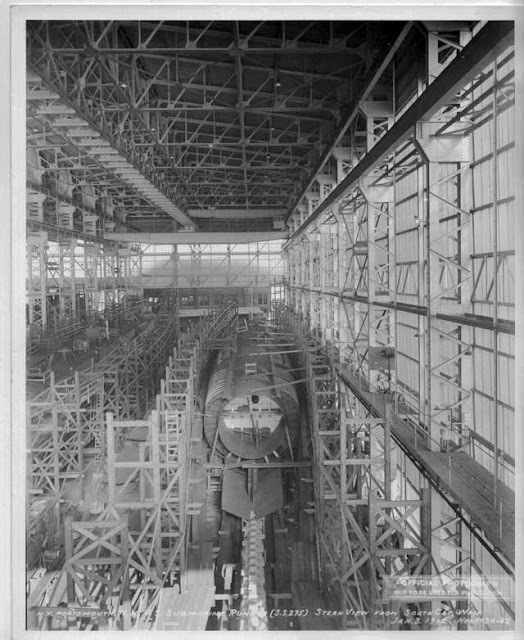 USS Fitch (DD-462) under construction at the Boston Navy Yard, 3 January 1942. 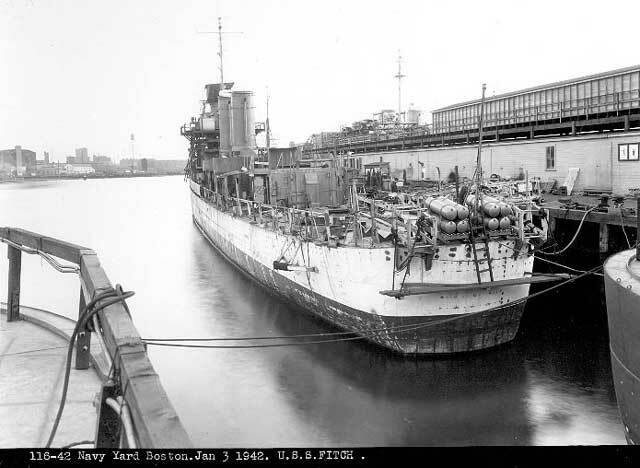 (Boston Navy Yard photograph 116-42, Boston National Historical Park Collection, NPS Cat. No. BOSTS-11125 via NavSource). Eastern Front: German command problems continue on 3 January 1942 as the Red Army counteroffensive broadens. Already, two army group commanders and numerous generals such as Heinz Guderian have been sacked. The generals now are fighting over retaining control over units which the OKH and Hitler want to be transferred between commands. General Georg-Hans Reinhardt, commander of 3rd Panzer Army, refuses an order from General Adolf Strauß at Ninth Army, who has been given control over 3rd Panzer Army. The situation in Army Group Center always has had these ad hoc commands, where one army is given command of another, but Reinhardt is upset about the refusal of Strauß to give him command over V Panzer Corps, which had been transferred to his sector. Army Group Center commander Field Marshal Guenther von Kluge finally has to threaten Reinhardt with a court-martial if he does not obey Ninth Army's orders. This is a prime example of the diva-ish behavior that regularly breaks out within the upper ranks of the Wehrmacht. 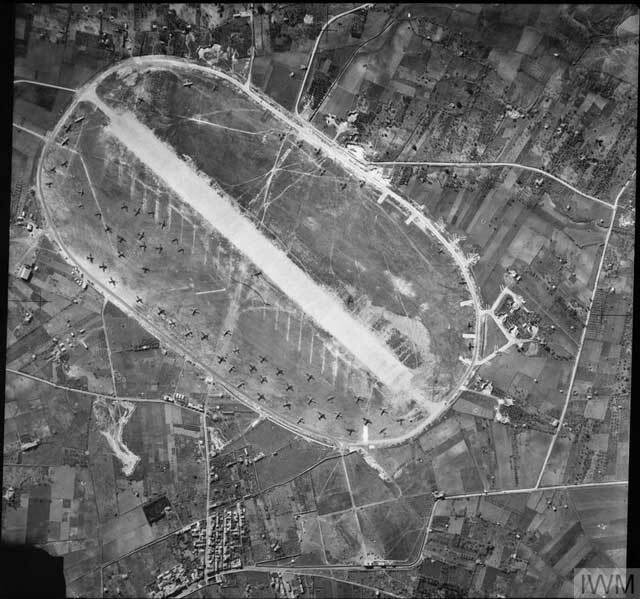 "Vertical aerial reconnaissance view of Castelvetrano airfield, Sicily, the day before a successful attack was made on it by Malta-based Bristol Blenheims of Nos. 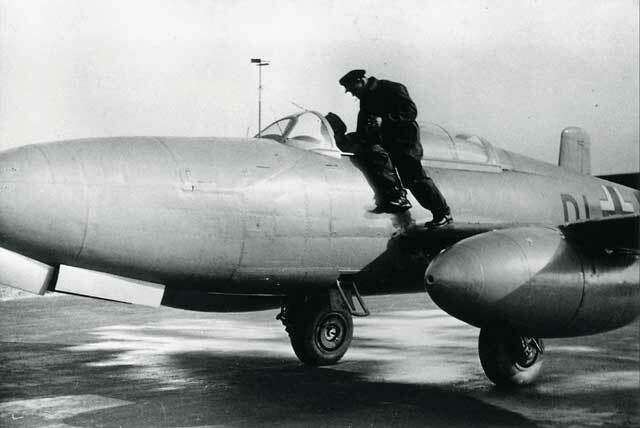 18 and 107 Squadrons RAF. A number of Junkers Ju 52 and Savoia Marchetti SM 82 transport aircraft, many of which were destroyed during the raid, can be seen parked around the airfield perimeter." This photo was taken on 3 January 1942. © IWM (C 4183). Soviet troops are advancing Rzhev, which had been far behind the front lines a few weeks ago. The Luftwaffe manages to operate despite -40 °F temperatures and flies in a battalion of reinforcements. The Germans have requisitioned winter clothing from the local inhabitants and learned ways to keep their machine guns and other automatic weapons working. This gives them a fighting chance to hold Rzhev, which is an important railhead and the entrance to the "land bridge" to Moscow. 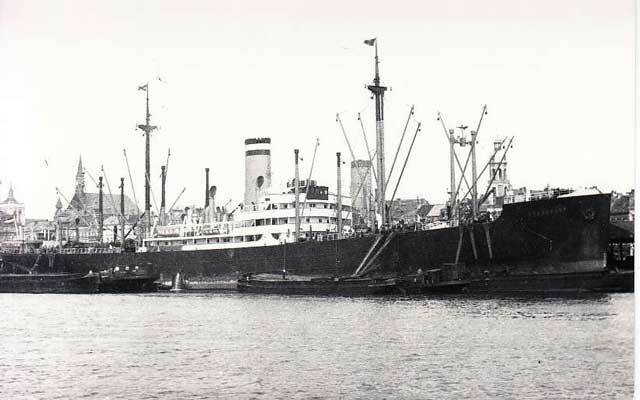 SS Langkoeas, a 7395-ton Dutch freighter that is torpedoed and sunk in the Java Sea north of Bawean, Dutch East Indies, by I-58 on 3 January 1942. The crew takes to lifeboats. I-58 surfaces and rams a lifeboat and machine-guns almost all fo the survivors. The Japanese then take three survivors aboard the submarine, where Lt. Cdr Kitamura interrogates them and then has them thrown back into the sea. The three men cling to a raft for four or five days until they wash ashore on Bawean Island. A Dutch PBY Catalina later arrives and takes them to Surabaya. Further south, Junkers Ju 87 Stukas of StG 77 attack Soviet shipping off the Kerch Peninsula. They bomb and badly damage Soviet cruiser Krasnyi Kavkaz. It is under repair until October 1942. On land, the Germans begin building up forces for a counterattack along a line about 10 miles west of Feodosia while the Soviet 51st, which has occupied the entire Kerch Peninsula, begins moving slowly west to reinforce the 44th Army. General Erich von Manstein, commander of 11th Army, sends 30 Corps under the command of Generalmajor Maximilian Fretter-Pico and also two other divisions from the Sevastopol perimeter to buttress the new line in the east. The Germans plan a counterattack as quickly as possible but it will take a couple of weeks to launch. 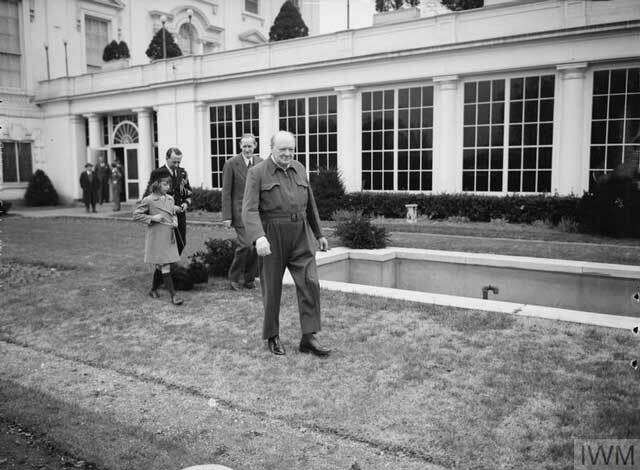 "Mr. Churchill, complete in his air-raid suit, which he announced to the press and cinema men present was his "siren suit", demonstrates how he runs to the air raid shelter." At the White House in Washington, D.C., 3 January 1942. © IWM (A 6919). Allied Relations: At the Arcadia Conference in Washington, D.C., the Allies announce their formation of the American-British-Dutch-Australian (ABDA, or ABDACOM) command. British General Sir Archibald P. Wavell is the overall commander, with US Major General George Brett his deputy. Wavell's task is to stop the Japanese advance, restore communications with the Philippines, and save Australia, Singapore, and Burma. 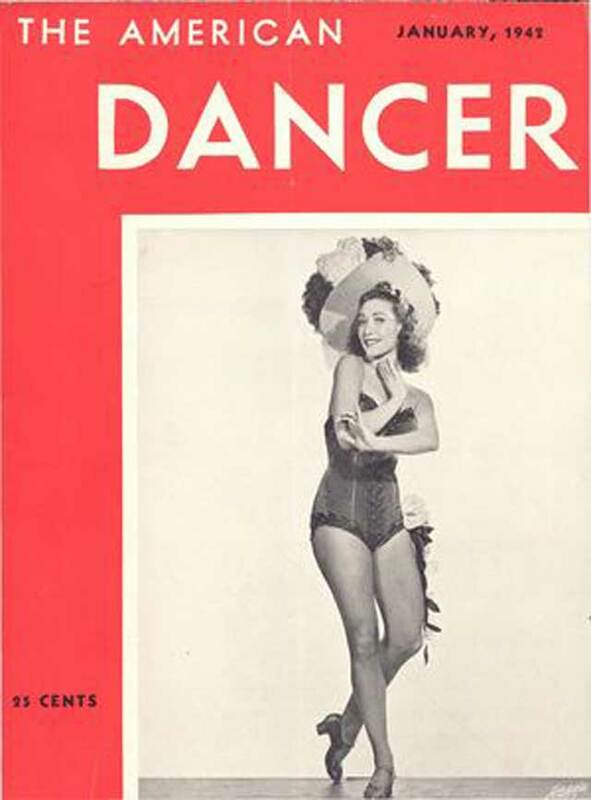 The American Dancer, Vol. 15, no. 3, January 1942.